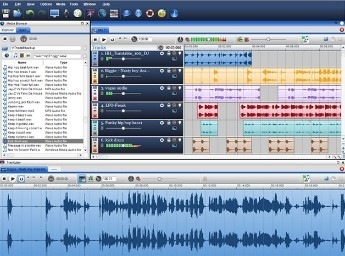 Free Music & Video Editing Software : TrakAx empowers you to create professional music and video mixes in an easy-to-use and fun environment. 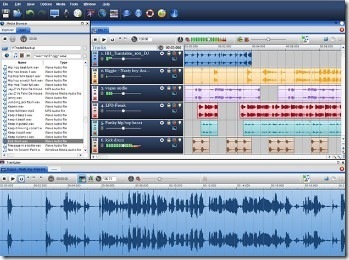 Whether you are creating a music track for your MySpace page or a video for YouTube, TrakAxPC is the most powerful Free Music & Video Editing Software on the web. Easy drag-and-drop technology no special skills or technical expertise required. Professional beat matching technology, so all your mixes sound great first time, every time. Easily find and preview all media on your PC or laptop. Record in directly from your webcam or microphone for videocasts, podcasts or just for fun, to use in your mixes. Cut samples to remix your favourite tracks. Use any combination of media—photos, videos and music. Add music and video effects, change volume, pan and pitch envelopes on individual tracks.